Up to this point, my crochet experience only included washcloths, stuffed toys, and afghans. And actually, since I've only been back at it since August, that's not too bad. 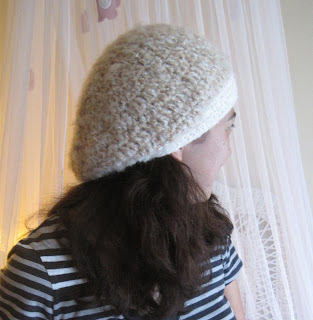 But after seeing this great slouchy hat, I knew I had to branch out, try something different and find a hat to make. Of course, I had to make one for myself, too. 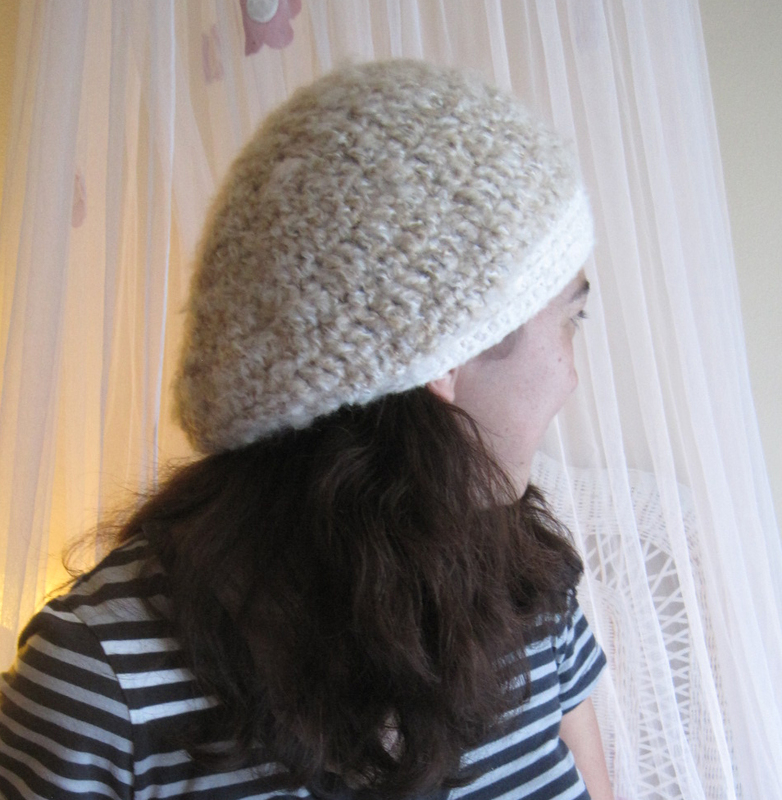 I scrounged up a couple different yarns, changed the pattern around a wee bit and managed to create one of my very own.